Floral, Fruity, Oriental. Created in 1991, Laguna for women is a refreshing, oriental, floral fragrance. 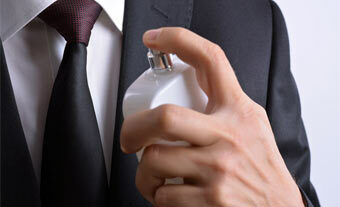 It is the result of the following top fragrance Notes: mandarin, peach and lemon. The middle notes are: rosewood, orris and lily of the valley and the base of the fragrance is: vanilla, amber and musk. Laguna is recommended for daytime use. My favourite perfume in the world for about 20 years. Still The One, effortlessly. And that's up against several of the 'Great" houses' products. the first two comments about this scent seem to be from the same perfume.....Jim then JB? Maybe if he wears a MALE SCENT he wouldn't have this reaction. Laguna is a breath of fresh air. I first found it while visiting Miami and to me it is Miami.....refreshing! I feel like I am on vacation when wearing it. I seldom totally reject a perfume, but this juice is a joke. It's a thick, salty mess of a scent. It's just as hopeless as its male counterpart Laguna. The perfumer ought to be FIRED. After reading all the good reviews and also because of how much I love the original Dali, I decided to go ahead and purchase Laguna unsniffed. (I have REALLY got to stop doing that, lol) Laguna, IMO, is not good. Its NOTHING like I expected it to be. First of all, I dont find it to be soft or ethereal at all. I find it sharp and very strong (nose burning, headache inducing strong) bitter smelling, borderline offensive to my nose. It doesnt smell like soft sweet lemon, but more of a sharp, very bitter lemon peel smothered in salt :o/ I also detect a bitter old dried rose petal type scent after it starts to dry down. Ewww. To my nose, it stays bitter on a paper scent strip and just the same on my skin, it doesnt change very much. It also smells quite synthetic and cheap. A very unusual, and IMO, funky (and not in a good way) scent. Very disapointing :o/ I'm shocked its been in production for so many years! this use to be my signature scent ... or at least the one i wore the most ... light , sweet ( but not too much )... fresh , young ... great for walks on the beach , tropical days , casual nights ... when i would go on a first date .... this was the way to smell ... .... never too much ... just enough to make him want to get closer ... really a lovely fragrance . I wasn't so sure about Laguna at first but after trying it a few times I am really starting to warm to it. I had it on yesterday & enjoyed the scent all day. i am from rio de janeiro , where it is summer all year long ... anyway , i have been wearing laguna for over 10 yrs... it is delicate , fresh , feminine ... great for warm weather , afternoon walks at the beach , and yes, romantic dates with a special someone ...why : cause it is a fragrance that blends with your skin and allows him to smell you , not just the fragrance ...soft as a summer breeze . ps . if it were a movie ,it would bê blue lagoon with brooke shields ... innocent as a first love . This perfum is the best! My boyfriend just loves it! Peolple always ask me what i'm wearing, and when i say Laguna... everybody wants! I've heard that Laguna was discontinued more than a year ago. Is that true? I've been wearing this on and of for a decade, and I always get back to it. It's a lovely fruity and soft orietal. Lovely. I don't wear it, but it is sweet and fresh. My husband loves this perfume I buy different types and he still goes back to this one? I dont find anything that great about it, but my husband finds it irresistable. Men's cologne and baby shampoo. I found it at a discounted fragrance store at a mall. It is called "highly perfumed body lotion". WHERE DID YOU FIND THE LOTION? I'VE BEEN WEARING THIS STUFF FOR A COUPLE YEARS & HAVE NEVER SEEN THE LOTION! gave the fragrance spray to my sister-in-law last year. i found the perfumed lotion this year it smells great just like the spray. i shouldn't have given it away i could have layered it!